This collection consists of records from Walters Collegiate Institute including Articles of Incorporation from 1901-1965, checking statements, correspondence, financial statements, envelopes and notes from the bank used by the school and books and pamphlets. 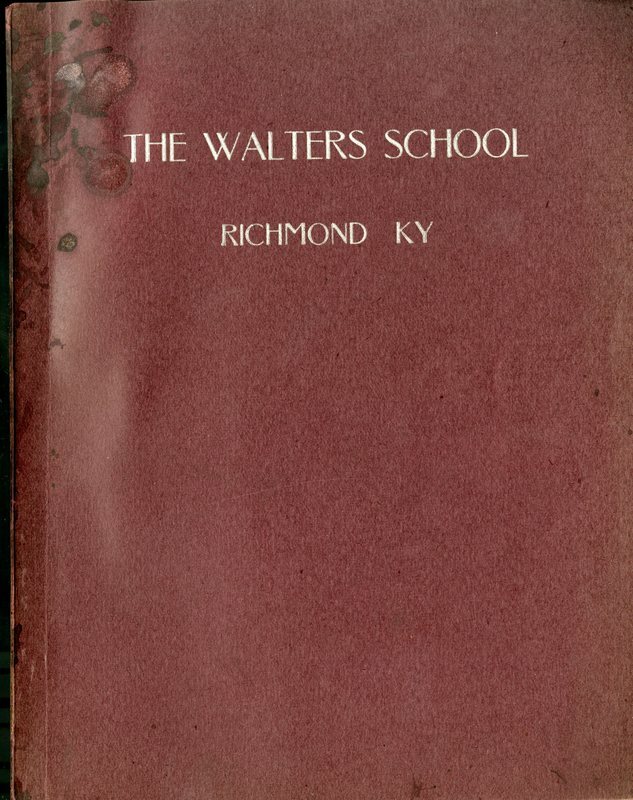 Walters Collegiate Institute was and is a corporation founded for the support of "higher education" in Richmond, Kentucky. During the five year interim between the departure of Central University in 1901 and the arrival of the State Normal School in 1906, the twenty-one trustees of the corporation established and maintained a private secondary school on the campus deserted by Central University which was sponsored by the Presbyterian Church. The Institute was a small school for boys. The teachers were, for the most part, young men who had graduated from eastern universities. The curriculum was classical: Latin, Greek, mathematics, and English. The school was established in the dawn of the rise of free public education, and its life was short. In 1906 the Trustees of Walters were pleased to turn over their Institute and most of their property to the newly created State Normal, and the Model High School, as part of the Normal, continued the work of Walters Collegiate Institute, charging the same tuition fees and following the same curriculum.